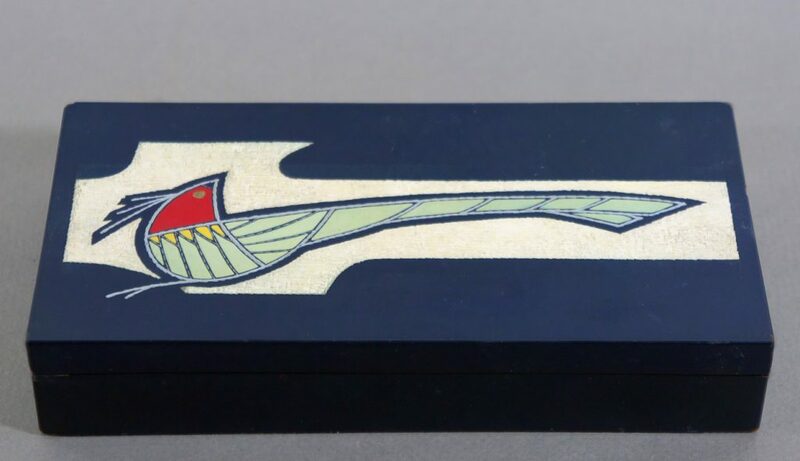 A 1960’s Japanese navy blue lacquer cigarette box depicting a stylized bird in pale green, yellow and red relief on a carved white lacquer ground. Unmarked. Interior lined in mustard coloured lacquer.